The Enterprise Investment Scheme (EIS) is designed to help smaller, higher risk companies raise finance by offering tax relief on new shares in qualifying companies. For the investor, it is a tax efficient way to invest in small companies – up to £1m per person per year. In essence the tax relief is designed to encourage investment in smaller and start up companies by reducing the investment risk by offering tax relief, in respect of the initial investment, investment growth and if a loss is made in respect of that loss. EIS was launched in 1993, Seed EIS is the younger sibling and was launched in 2012 to focus more closely the tax advantages on even smaller start-up companies . It is possible to move from SEIS to EIS as the company grows. The tax rules are complicated, detailed and as can be anticipated strictly interpreted and enforced by HMRC. 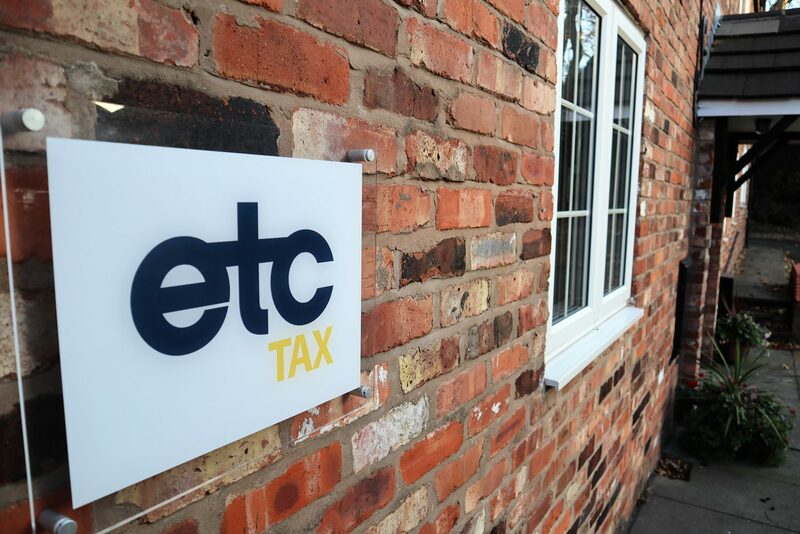 Here at ETC Tax we are well versed in helping clients navigate through these shark infested waters. What tax reliefs are available for EIS? Income Tax Relief – There is no minimum investment through EIS in any one company in any tax year, however there is a maximum of £5m and up to £12m in total. The maximum Tax relief of 30% can be claimed on investments (up to £1m in one tax year or up to £2m where at least £1m is invested in a knowledge intensive company) giving a maximum tax reduction in any one year of £300,000 ( £600,000), provided you have sufficient Income tax liability to cover it ( although there are somewhat restricted provisions to carry back the relief). The personal limits apply to all EIS investments not just the relevant company. EIS allowances are allocated individually; therefore, a married couple could invest up to £2m(£4m) each tax year and be eligible for Income tax relief. The shares must be held for at least three years from the date of issue or the tax relief will be withdrawn. Capital Gains Tax exemption (CGT) – Any gain on the disposal of the shares is CGT free if the shares are held for at least three years and income tax relief was claimed on them. Loss relief – If shares are disposed of at a loss, the investor can elect that the amount of the loss, less Income Tax relief already given, can be set against income of the year in which they were disposed of ,or of the previous year, instead of being set of against any capital gains. Capital Gains Tax deferral relief – Earlier gains can be rolled over into the EIS shares. The gain can be made from the disposal of any kind of asset but the EIS investment must be made one year before or three years after the gain arose. Connection to company does not matter for deferral relief but continues to do so for both Income tax and CGT exemption relief. What tax reliefs are available for SEIS? CGT Deferral – unlike EIS total exemption on 50% of the amount invested up to a maximum of £50,000. Maximum individual investment limit – £100,000 per annum . A company can raise up to £150,000 under SEIS. How many shares can I hold? An investor can only hold up to 30% of the company’s shares. Care is needed where there are different classes of shares as the test is based on the nominal value of the shares, together with voting rights. Preferential rights given to the EIS shares in terms of an enhanced economic return on the shares could also invalidate the investment. 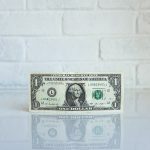 Anyone who is an employee or director is “connected” with the company for SEIS and EIS purposes, and not able to invest under SEIS or EIS. However, there are “business angel” rules that allow individuals who become directors (but not employees) after the share issues to qualify. In other words, the subscription should be made before they are appointed as a director. Do I have to subscribe for shares? Yes, you must subscribe for fully paid up shares in cash. The investor gives the company a share subscription letter and arranges payment of the subscription funds – evidence that the funds are not a loan. The company then issues the shares – and must write up the share register in the company statutory books, issue the share certificate and notify Companies House. There should be no undue delay between (1) and (2), otherwise HMRC may argue that (2) is the conversion of a loan in (1). What requirements should the company satisfy? This requirement must be met for a three year window from the date of allotment. These are the limits before the investments. One aspect to consider is that where there is an initial followed by further funding rounds the SEIS investments must be concluded before the EIS investments are made . In other words the funding rounds must be completely separately both in terms of funds and timing. These rules are measured on the full-time equivalent number of employees (e.g. two part-time employees may be counted as one full time employee). This is an interesting rule. In the context of SEIS and EIS preferential rights mean a right to something “in advance” of someone else. Recent case law has established how strictly this rule is applied where non EIS shares were held to have lower rights to the EIS shares invalidating the EIS subscription. The legislation contains a list of exclusions. Certain activities are excluded to comply with “state aid “ requirements – iron and steel production is an example. Generally speaking land based activities , such as property development and operating hotels and nursing homes are also excluded; likewise, some trades such as accountancy and legal services. The EIS company raising the funds must have a permanent establishment in the UK. If there is a group, the EIS company must be the top company in the group. New rules for shares issued on or after 18 November 2015 require the funds raised to be used to promote the “growth and development” of the company. HMRC’s view is that the EIS funds cannot simply fund existing working capital requirements or repay existing debts. They need to fund development expenses, such as hiring new staff, developing new IP, or marketing. New rules as to the maximum age of the business have also been introduced. What counts is the age of the underlying business, not how old the company is. Young in this context is 7 years (or 10 years for knowledge-intensive businesses). Where more than 7 years old, the investment can still qualify if funds are raised to launch a new product or enter a new geographic market. HMRC take a strict line here – the new product or geographic market must be a real risk for the investor. What’s more, the amount of funds raised need to be at least 50% of the average turnover for the last five years (although limited sales to test a new market are permitted). EIS investor cannot already own shares in the business except ones that are, broadly, SEIS / EIS shares. However, the non-SEIS / EIS shares can simply be gifted to a spouse pre-investment. The company must have objectives to grow and develop over the long term. The investment must carry a significant risk that the investor will lose more capital than they gain as a return (including any tax relief). Essentially, these rules remove from the SEIS / EIS regime property-backed or low risk structured investments. Loans cannot be made by an EIS investor and then converted into shares, because of the “value received” rules. However, a private company, 100% owned by the EIS investor, is not an “associate” of the investor and can make the loan – leaving the investor free to invest under EIS. This can be a useful route for early stage funding before the company is ready for an SEIS / EIS share issue. Can I seek a clearance from HMRC? EIS investments can ( and regularly do ) fail for one reason or another because of the widely drafted anti-avoidance rules. HMRC provide an advanced assurance procedure and it is sensible and best practice to do so. As with any other HMRC clearance application it is important that the full facts are supplied to HMRC. What appear to be a simple cases can have quirks that have catastrophic effects for the qualifying status of the company. As part of the clearance application HMRC now require details of the proposed investors, which leaves the company in a bit of a Catch 22 position – they need the clearance to attract the investors – but they need investors to get the clearance! Do you have a question about EIS or SEIS?